Have you been looking for your Central Coast Dream Home? Well look no further! 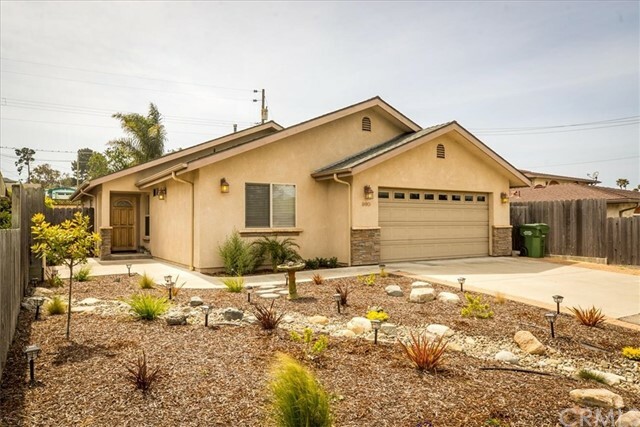 This spacious home offers scenic views of the ocean and Morro Rock. Situated on a double lot offering 2 master suites, 1 guest bedroom and 3 bathrooms. Upon entering this open concept home, you will notice new vinyl plank floors, newly painted interior, new baseboards, updated light fixtures and vaulted ceilings. Master suite upstairs features tons of natural light, a private deck and dramatic ocean views. Expansive deck on the main level is the perfect spot to enjoy your coffee or wine and take in the views. Oversized two car garage with repainted floor, along with a wheel chair lift. Eco-friendly with new drought tolerant landscaping and owned solar panels. Roof replaced Summer of 2017. Located in the sought-after neighborhood of Morro Heights, close to beaches, Morro Bay golf course, restaurants, world class wineries and all the fun things to do in Morro Bay! !